The US Mint is one of the top tourist destinations in Denver. Our scope of work at the US Mint Project was supplying the stone used for the external and internal wall cladding of the building. We supplied Flamed Granite Rosa Porino and Flamed Granite Ghibli both with the round molding edge. At the McMahon Dining Hall our scope of work was the supply and installation of natural stone in both the McMahon Dining Hall and Recreational Facilities Center at the University of Washington. At the McMahon Dining Hall, honed Black Impala granite and polished Santa Cecilia granite slab countertops were used for all dining hall tops. Using easy-to-maintain granite surfaces that are easy to clean created a comfortable, hygienic environment. Our scope of work at the fire station included supply and installation of natural stone tile flooring. We used Gauged Multicolor Slate for this job. 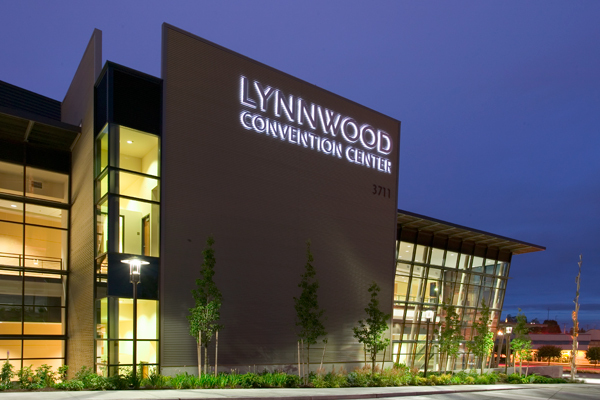 At the Lynnwood Convention Center Project we supplied and installed Polished Granite Baltic Brown slab countertops at the reception area and reception desk. At the Northshore School Administration Building Project we supplied and installed slate panels at the reception desks in Honed Green Slate. We also supplied and installed Polished Granite Baltic Brown floor tiles and base at the corridors. At the Recreational Facilities Center at University of Washington our scope of work was the supply and installation of natural stone, in specific of polished Dakota Mahogany granite. We provided the circular tops at the information desk as well as tops for the “Dawg Bites” Café in Dakota Mahogany granite. The composition of the circular dining hall and information desk took time and patience to install.